This article aimed to report Journal Impact Factor (J-IF) and Journal Immediacy Index (J-II) of 68 Thai academic journals during the past five years (from 1996 to 2000) using the calculation method given by the Institute for Scientific Information (ISI). This was the first time that the citation indexes of Thai academic journals were established. With respect to the journal impact factor, the results showed that only six journals have been cited continuously during the past five years, this being 8.8% of the total journal number selected in this work. It was also noticeable that articles published in longer journal age tended to have greater opportunity to be cited and higher journal impact factor. 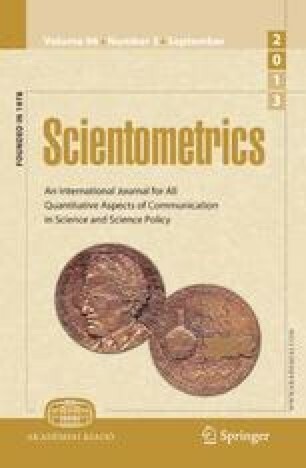 The average impact factor of the 68 journals was relatively low, this being of 0.069, suggesting that the possibility of an article published in a national journal to be cited was only 6.9%. In terms of the immediacy index, it was found that the average immediacy index value was 0.063, which was again very low. No significant relationship between the journal age and the immediacy index could be observed. 47% of the journals have never been able to produce the immediacy index in the past five years, suggesting that articles in the Thai academic journals were hardly cited within the same years they were published.